This awesome workout targets the whole body, is performed with an Olympic Barbell and two Kettlebells. The exercises hit your upper back, trapezius, rhomboids and deltoids, lets not forget the biceps, the core, erector spinae and then also just about everything in the lower-body, the gluteus maximus, hamstrings, quadriceps, as if that’s not enough, it also works on your shoulder stability and leg flexibility. 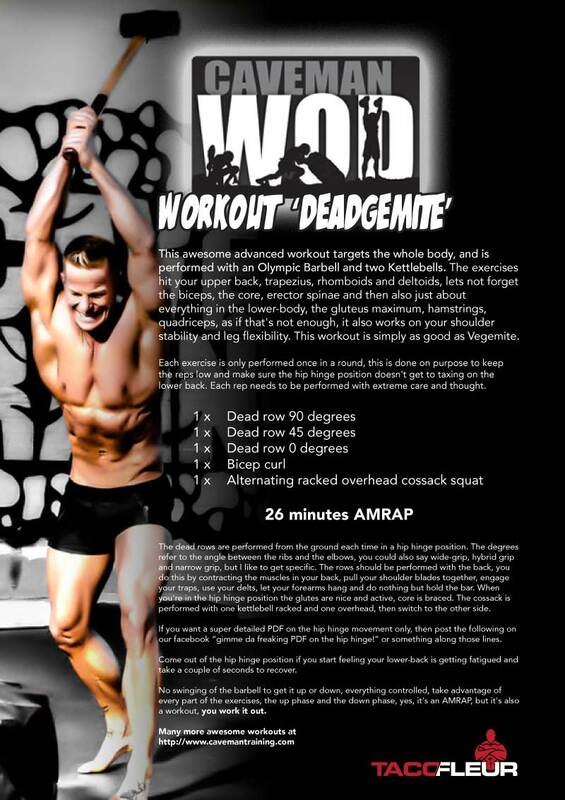 This workout is simply as good as Vegemite. Each exercise is only performed once in a round, this is done on purpose to keep the reps low and make sure the hip hinge position doesn’t get to taxing on the lower back. Each rep needs to be performed with extreme care and thought. Can be scaled by doing racked staggered squats. Check my rounds and load for this workout in the comments. Buy your kettlebell shirts here. Download the PDF for more details on the exercises and execution below. Watch the video below by unlocking it.